On Sunday afternoon, G.H. 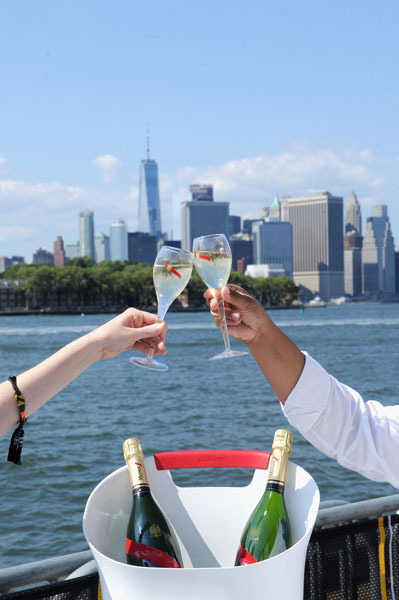 Mumm, the official champagne partner of Formula E celebrated the inaugural ePrix race in Brooklyn, New York with its iconic Mumm Grand Cordon. 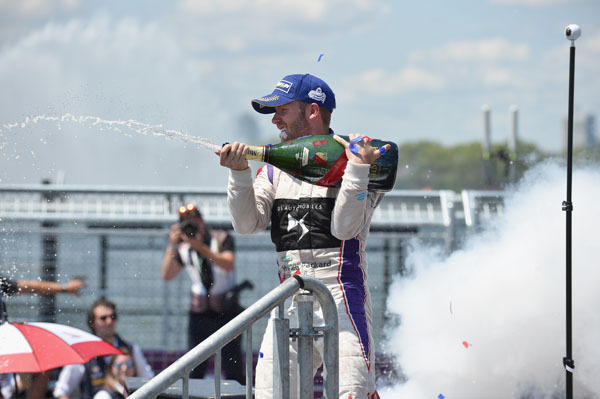 Guests including Chairman of the Formula E Sustainable Committee Leonardo DiCaprio, actor Chris Hemsworth, The Daily Show host Trevor Noah, model Hilary Rhoda with husband Sean Avery, and television personality Alicia Quarles all cheered on as Sam Bird of DS Virgin Racing took first place among the top racers in the league. 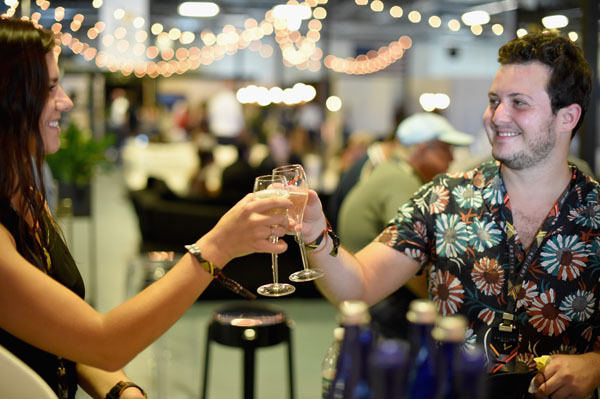 Rhoda was spotted at the bar toasting the winners with champagne, as a hologram of Olympic Gold Medalist Usain Bolt appeared on screen to DJ for guests at the event. 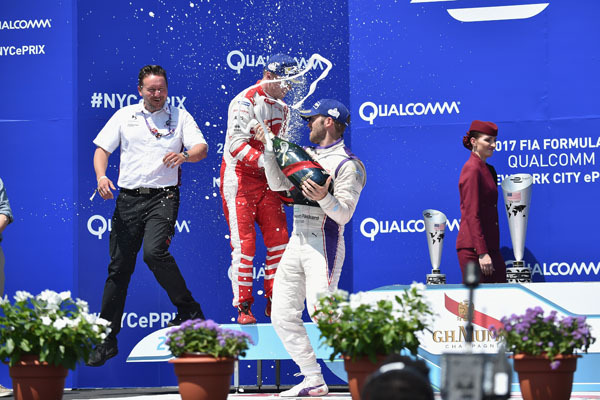 Bird, ecstatic with his win, popped open a 3L bottle of G.H. 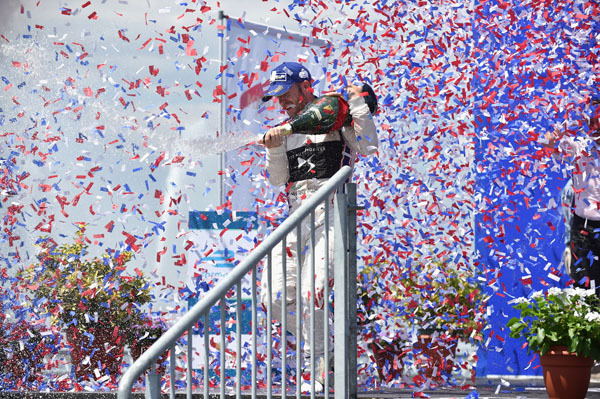 Mumm champagne and sprayed the crowd to celebrate his victory.